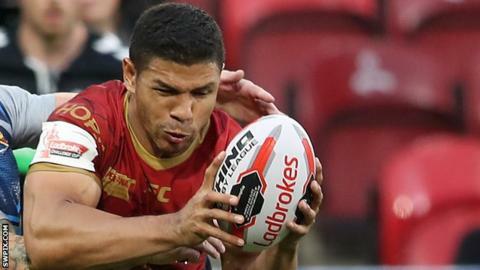 Catalans Dragons could be without versatile Papua New Guinea back David Mead for up to two months because of an adductor tendon injury. Mead, 30, was taken off on a stretcher in last Thursday's 22-12 defeat by Wakefield Trinity, and scans have revealed the extent of the problem. The former Brisbane and Gold Coast player is expected to miss "around eight to 10 weeks" with the issue. He has played two games for the Dragons this season. It is the second disappointing injury setback for Catalans this week, after winger Jodie Broughton was confirmed to have injured a bicep and faces a 'long lay-off' on Monday.